Get yourself ready to become a Red Hat Certified Architect (RHCA) in this first of five courses taught by a former Red Hat certified trainer and examiner, Bo Rothwell. This course teaches you everything you need to know to pass the Red Hat Certificate of Expertise in Server Hardening EX413 exam. Two important things come with passing the EX413. First, it tells the world that you know how to protect Red Hat Enterprise Linux systems against unauthorized access. Second, it gets you closer to becoming an RHCA with the coveted datacenter concentration. Earning the RHCA: Datacenter requires that you pass five separate tests. This course gets you through one of those tests, the EX413. Take this course, pass the EX413, and then look for Bo's other RHCA: Datacenter exam prep courses. 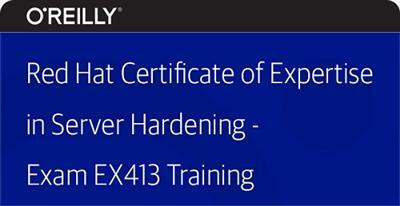 Note: the EX413 exam can only be taken by those who already hold the Red Hat Certified Engineer certification.